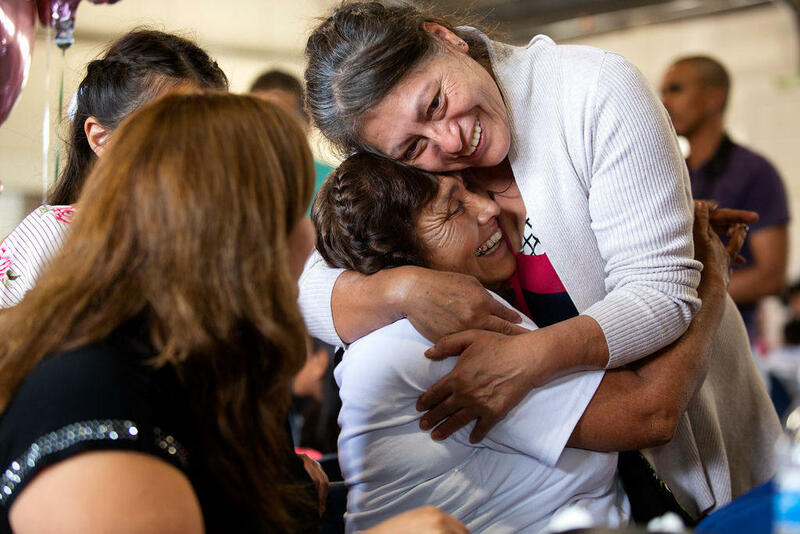 Rosa Barriga Barriga is reunited with family members living in the U.S. during the "Palomas Mensajeras" event at St. William Catholic Church in Round Rock on Friday. “My daughter, my sister!” Rosa Barriga Barriga yelled through tears in Spanish. Barriga, who had flown to Texas from Michoacán state in Mexico, hadn't seen her sister and two of her children in roughly 24 years. They hugged in the middle of a pavilion at St. William Catholic Church in Round Rock on Friday. 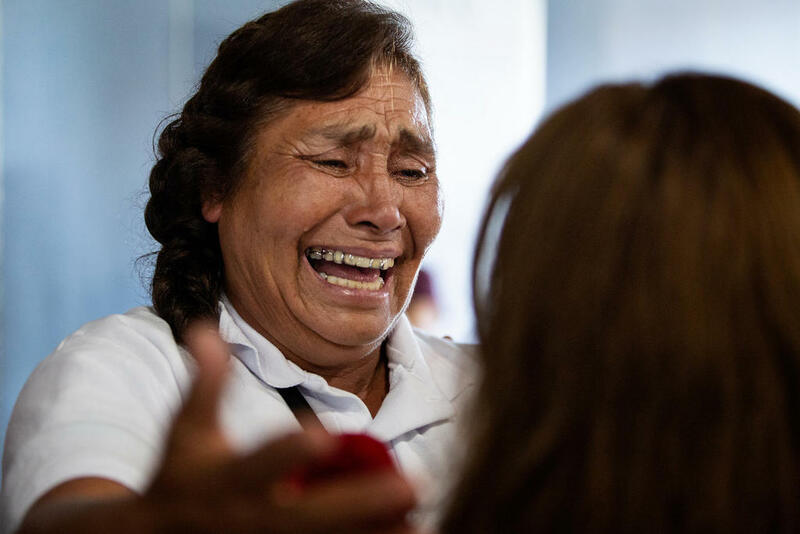 “I don’t recognize you anymore,” Barriga said as she turned to her son, who was holding a child of his own. 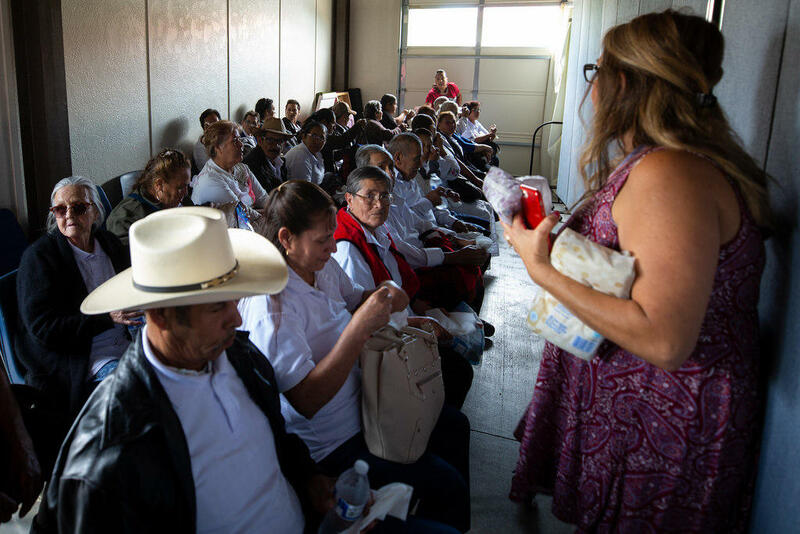 The family and dozens of others were reunited as part of the "Palomas Mensajeras" (homing pigeon) program. This event – the first of its kind in the Austin area – was put together through the efforts of the Consulate General of Mexico in Austin and the government of the State of Michoacán. “They chose Round Rock because there is a significant community from Tzintzuntzan here, and this was a very important concentration of people from Michoacán,” said Carlos González Gutiérrez, the consul general of Mexico in Austin. Mexican parents wait to be reunited with children living in Central Texas whom they haven't seen in years for immigration reasons. To qualify for the program, he said, parents in Mexico must be older than 60 and have a clean record. They also need to prove they have children living in the U.S.
At the end of the screening process, the parents receive a tourist visa that lasts 10 years, allowing them to travel to the U.S. for six months at a time. 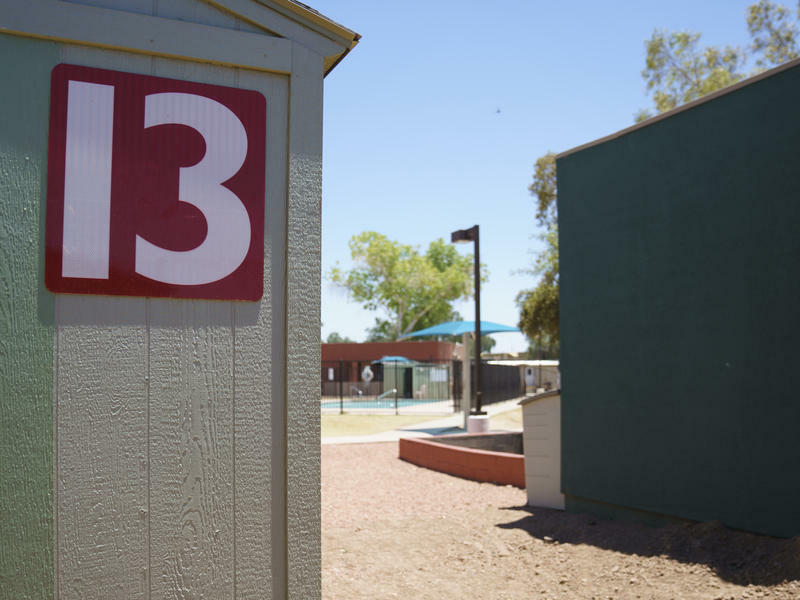 “Through this system they allow for a more natural, more normal, more constant, more fluid way of meeting each other in the U.S.,” Gutiérrez said. The families living in and around Round Rock pay the full costs. While visas and travel can be pretty pricey, the alternative is much harder. Without the program, Gutiérrez said, many of these people would not be able to see their aging parents. And Gutiérrez said staying put in the U.S. comes with a significant cost. Barriga’s 17-year-old niece, Andrea Orozco, is the only member of her family in the U.S. who has been able to visit her in the past few years. Andrea, who was born in the U.S., has no problem traveling in and out of the country. While she sat with her family waiting to see her aunt Friday, she said it has been difficult watching her mother miss her sister and other siblings. Andrea said it has also been hard on Barriga’s children, who are adults now. Barriga (seated) gets a hug during the reunification event. She had not seen her sister and two of her children for about two decades. Maria, one of Barriga's eight children, could barely talk about how she felt. “There’s a lot of mixed feelings,” she said in Spanish. She said she was happy to finally see her mother, but that it was also sad to think about all the time that’s gone by without her being there. Carlos Gonzalez Gutierrez, the consul general for Mexico in Austin, says the "Palomas Mensajeras" program allows for a "more natural, more normal" way for parents to be reunited with their children. 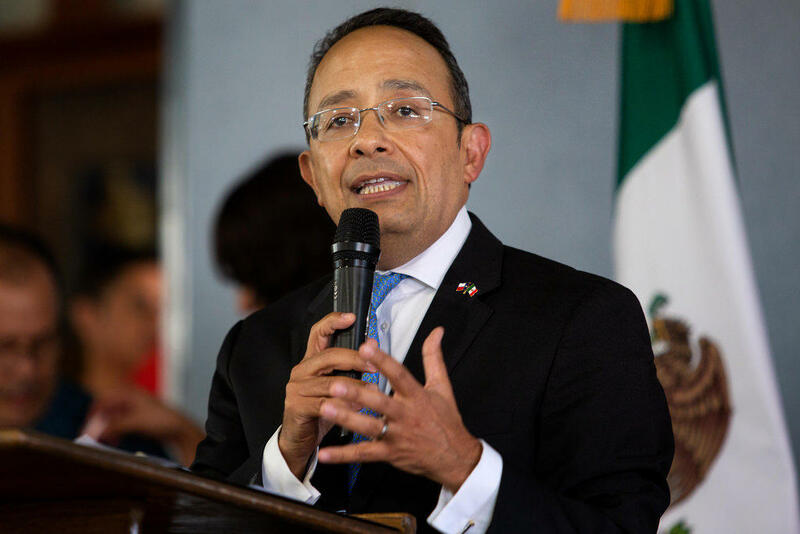 That’s why Gutiérrez said this program was created ­– to address a problem facing a lot of Mexican nationals who move to the U.S. without documentation. Gutiérrez said these reunions are particularly special with the backdrop of family separations at the border earlier this summer. The anxiety among the families is palpable, he said. “They know that the climate has changed significantly and that these types of opportunities are going to be very, very rare,” he said. 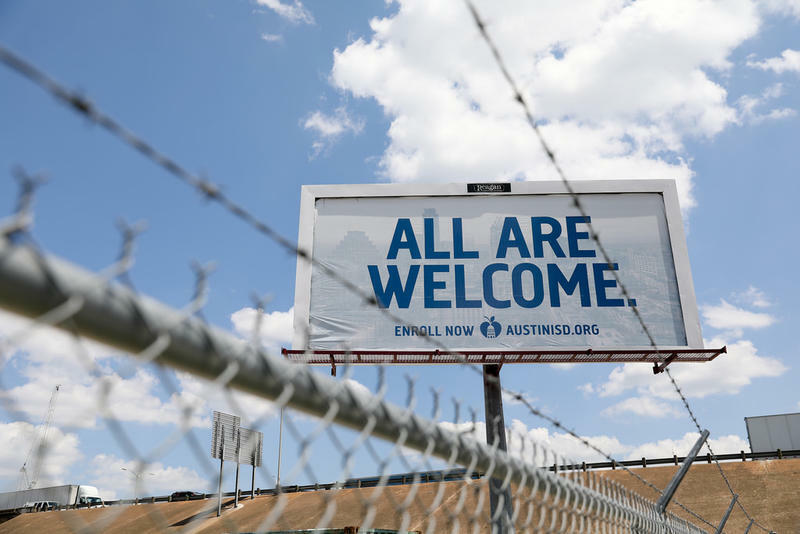 When the state of Texas successfully halted a proposed 2014 federal immigration program to aid adult immigrants, the state's attorneys were able to convince federal courts Texas would be irreparably harmed by the implementation of the sweeping initiative. 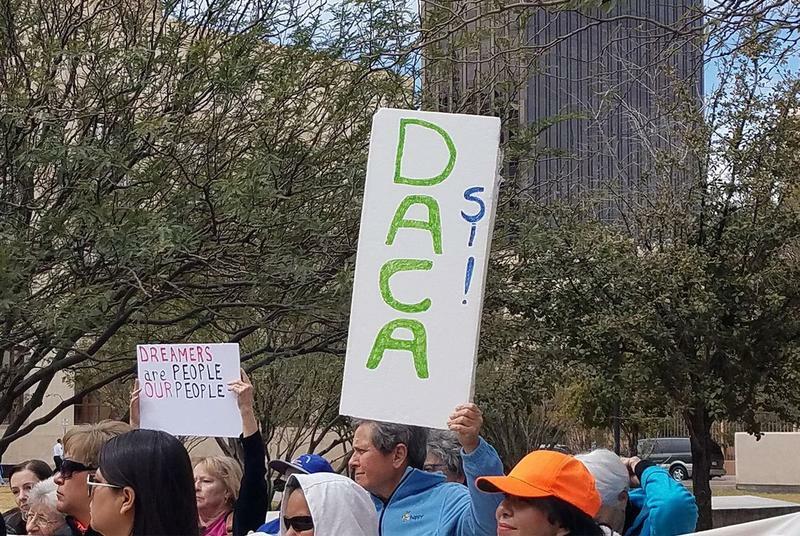 But as the Texas attorney general’s office goes to court next week in an attempt to shut down the 2012 Deferred Action for Childhood Arrivals, that argument won’t be as strong because the program has been in place for more than half a decade, attorneys with the Mexican American Legal Defense and Educational Fund said Tuesday.